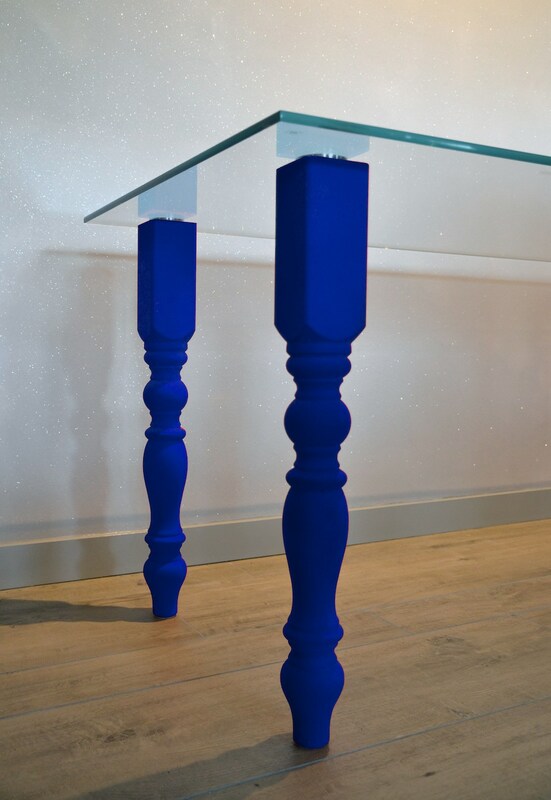 This glass table combines classically formed wooden legs with a modern glass tabletop. The table legs are 75cm in height. 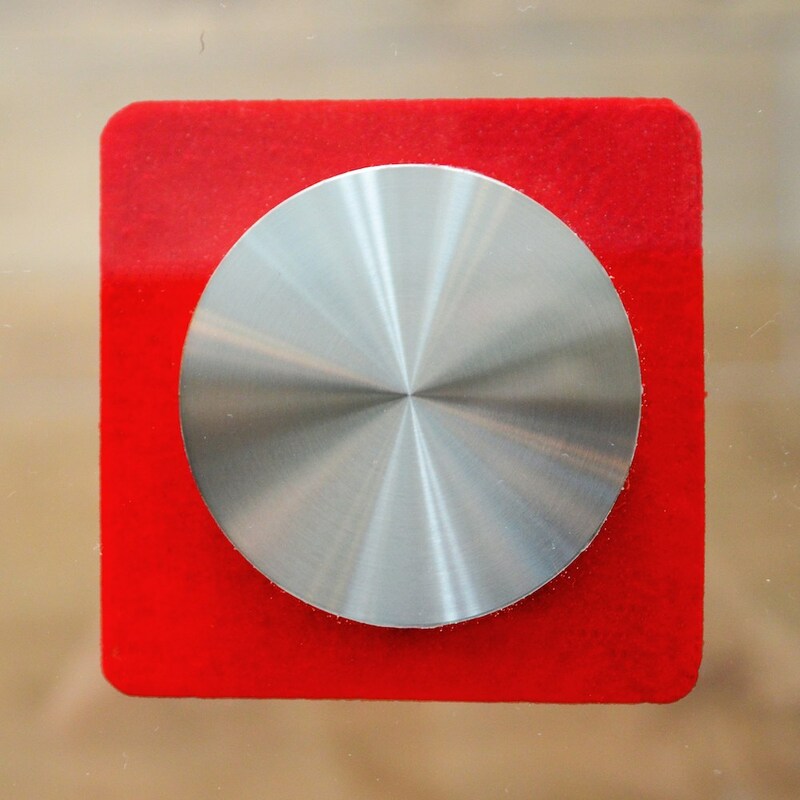 We use 10mm thick "white glass" which does not give a green tinge at a thickness of 10 millimeters. The connecting points between the glass tabletop and table legs are carefully designed with an attaching bracket in stainless steel, which fixes the tabletop and legs in position. Customers can select the size of the tabletop and the length of the legs according to their preferences, so this is a completely customisable table solution. Table legs are also available in 45cm height, and can therefore be adapted to a coffee table. The flocked legs can be provided in an unlimited variety of colours, even matching desired colour codes. The table legs are made of turned wood and coated with a velvet-like layer of small coloured fibers. This technique is called flocking, and FabLab Design is the only furniture maker in Norway offering custom flocking of furniture and other interior objects.